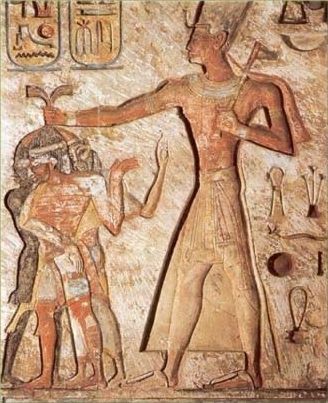 Kelly: This carved relief created during the time of Ramesses II shows a Black, a Reddish "White" and an Asian (representing the three races of: SHaM [Shem], CHaM [Ham] and IPaT [Japheth]) being sacrificed to the Egyptian god Ammon [Amen]. 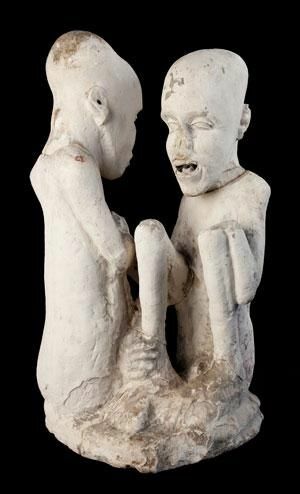 Erika: The Starving of Saqqara is a curious sculpture, possibly pre-dating Egypt, that first surfaced in the 1940s. The sculpture shows two gaunt figures entwined, rendered in a ghostly whiteness. While the likeliest origin lays in pre-Dynastic Egypt or outright forgery, more offbeat and chilling suggestions have arisen. Some believe the statue depicts Atlantean refugees. 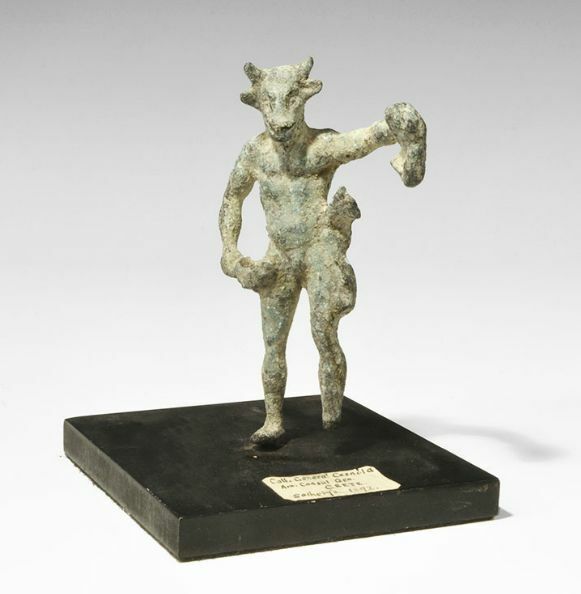 Human sacrifices, famine, and catastrophe in great antiquity draw further speculation as inspirations for the statue. 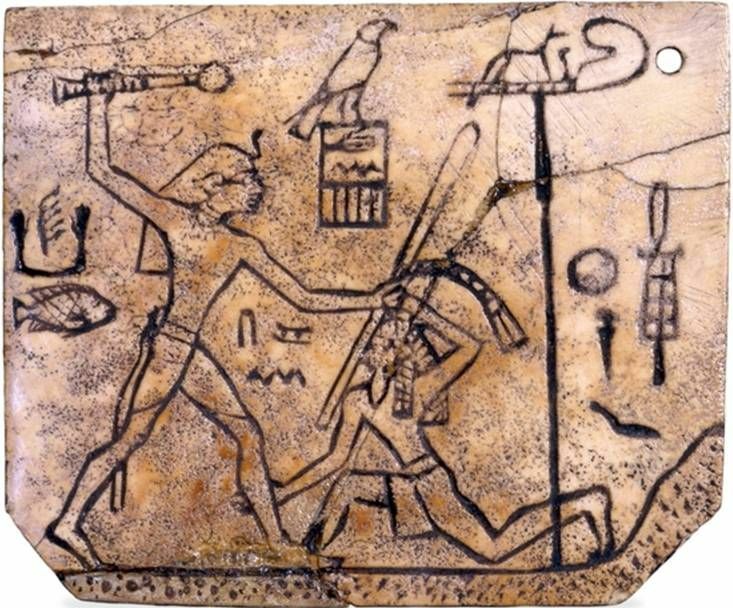 Eric Did human sacrifice occur in Ancient Egypt? Some Egyptologists deny it. 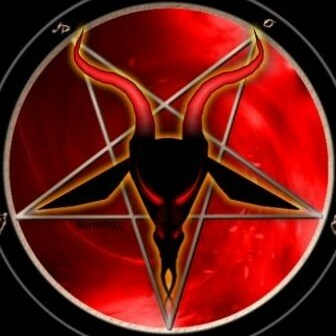 Is "the goat" actually a BULL in its former incarnation ?? Ahmed said: MNEVIS, SACRED BULL - identified as being a living bull. 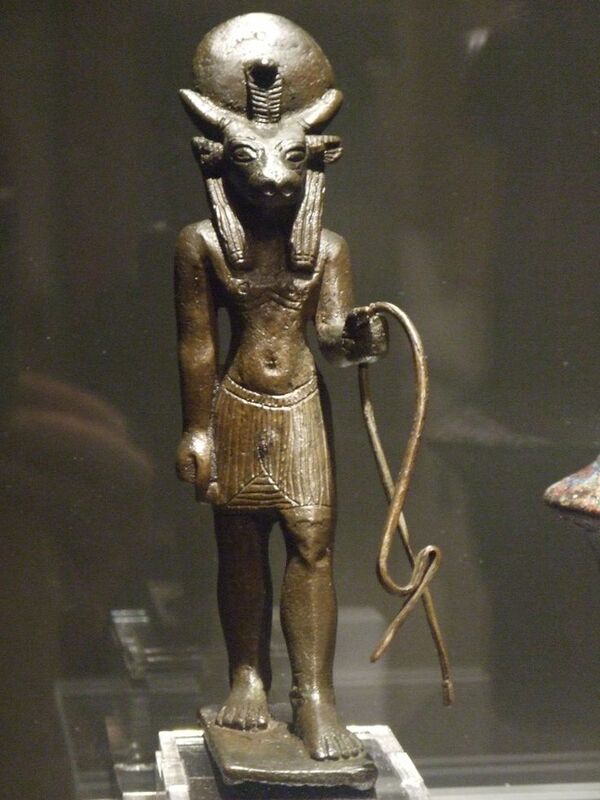 This may be a vestige of the sacrifice of kings after a period of reign, who were seen as the sons of Bat or Hathor, the ancient cow deity of the early solar cults. Thus, seen as a symbol of the later sun god, Ra, the Mnevis was often depicted, in art, with the solar disc of their mother, Hathor between its horns. 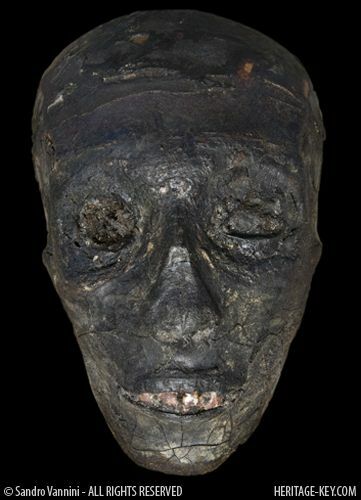 Franky M New autopsy finds King Tut died from having his heart torn out. 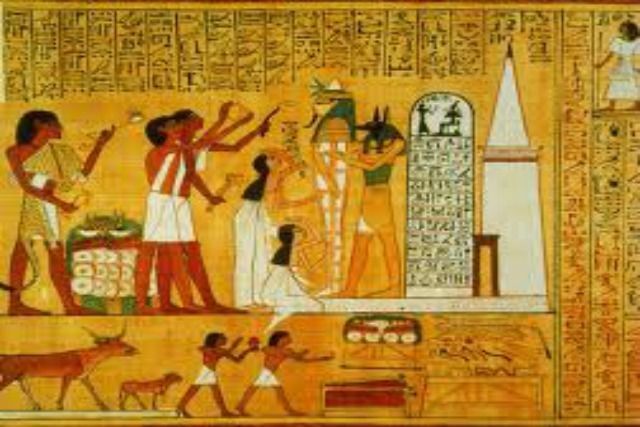 Was it a hippo or a priest-surgeon who made that "neat incision" through Tut's ribs? Article proposes hippo. I say sacrifice. You decide.